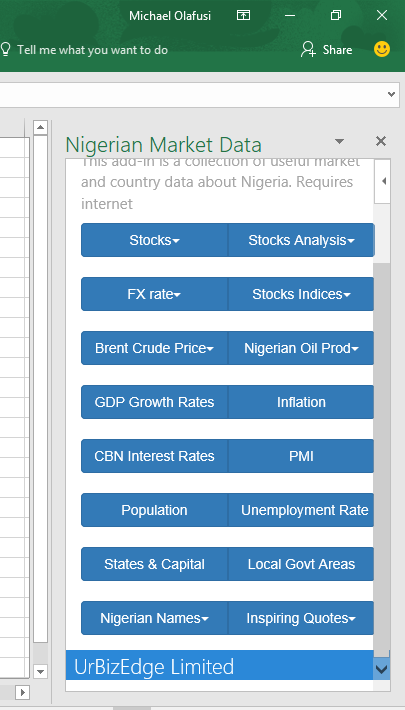 I spent the bulk of today redesigning my Microsoft Office Nigerian Market Data app. 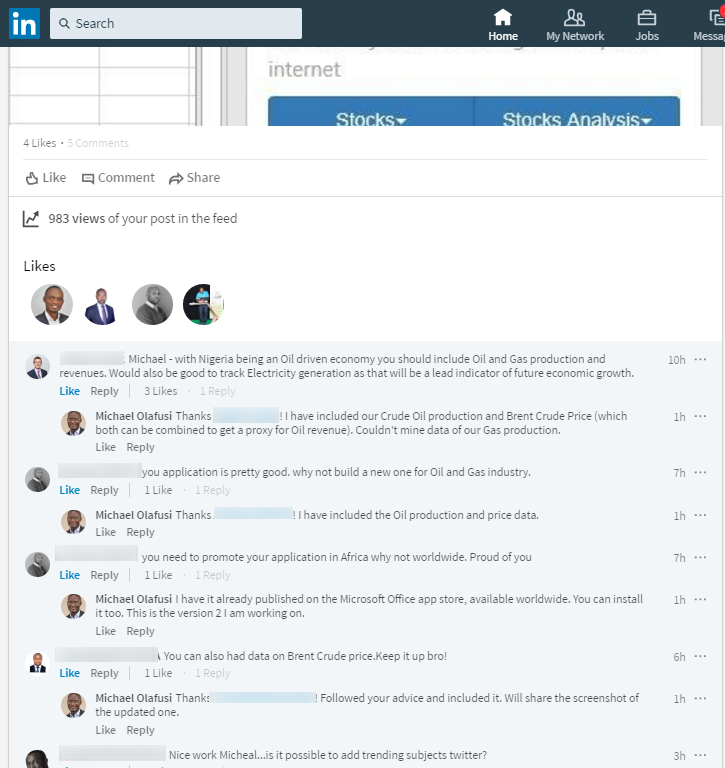 I even shared the update process with my contacts on Whatsapp and LinkedIn, got a couple of interesting ideas which I integrated. I have added more metrics: Brent Crude Price, Nigeria Oil Production volume, GDP Growth Rates, Inflation rate, CBN Interest rates, Purchasing Managers' Index (PMI), Population figure, Unemployment rate and a few trivial data (like inspiring quotes and Nigerian Names). I hope to complete the update this weekend and submit to Microsoft for approval. 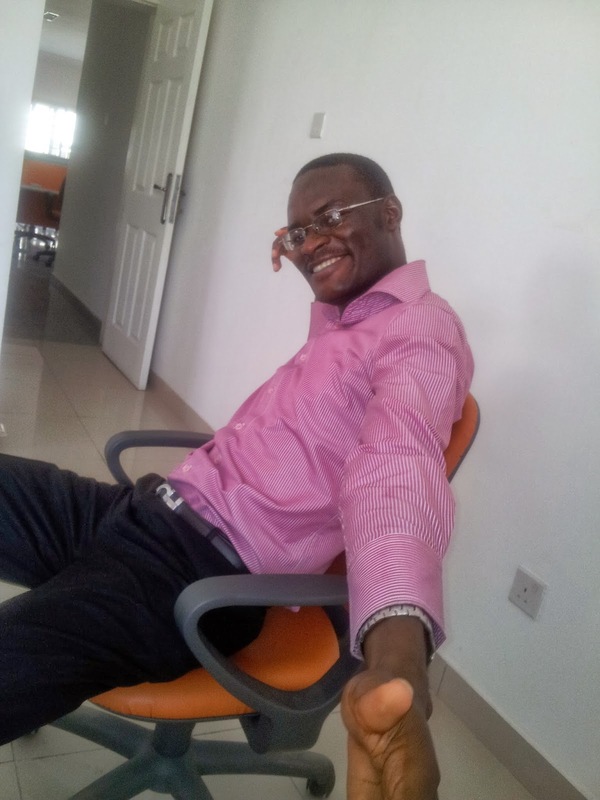 I am also considering creating an android app, Apple iOS app and a web app version of the app. Just scared of the cost and maintenance cost. I am already facing high monthly charges with the background app hosting on Azure cloud. If the app becomes popular enough, I will pursue a strict for-profit agenda. Pay to have it properly done for web and phones, and put a subscription fee on it. Just completed the Python backend for scrapping crude oil daily price.